Basketball is one of the world’s most popular and widely viewed sports. It was invented by Dr. James Naismith in Springfield, MA in 1981. Initially, players shot a ball into peach baskets that hung from a 10-foot wall. Due to efficiency, the bottoms of the baskets were removed, rules were set, and the sport of basketball was born. Today, basketball is played all across the world; outside, inside, in arenas as well as backyards and public parks. 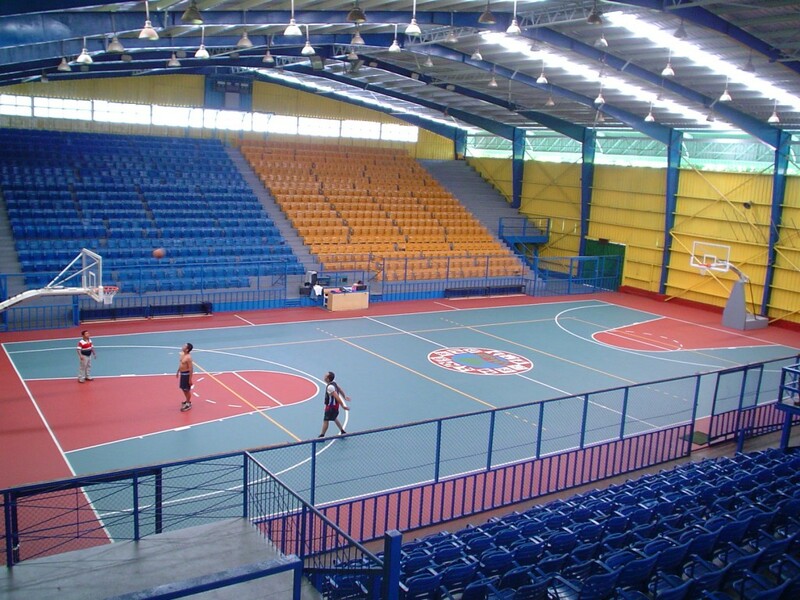 While most courts retain the same dimensions, certain courts have different paint/lining than others, most notably basketball courts used in International play (e.g. the Olympics). Below, you can find more information about basketball court surfaces, including standard dimensions, line structure & more. For more information about basketball court surfaces, including installation, dimensions and more, visit our Technical Documents section. 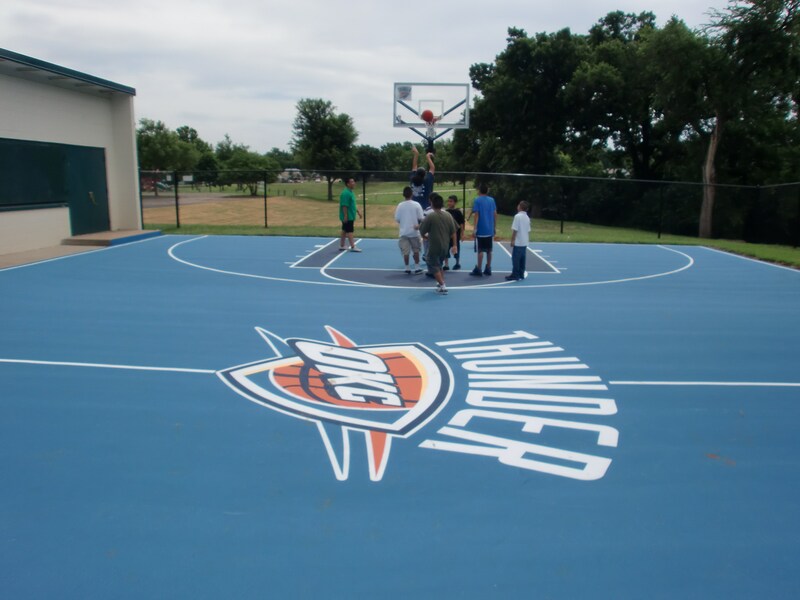 Acrylotex Sport is a durable, high performance coating system for both interior and exterior court use. 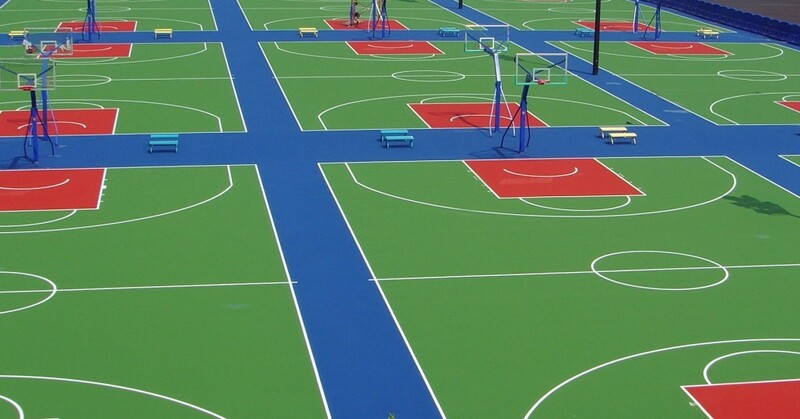 The wide variety of standard and custom colors allow for customized, multi-sport, and specialty courts. The medium texture, non-skid surface delivers unparalleled grip performance in game play which is imperative for basketball court surfaces. When compared to polyurethane, hardwood, or interlocking tile systems, Acrylotex Sport is the economic alternative that will remain in top playing condition for years. 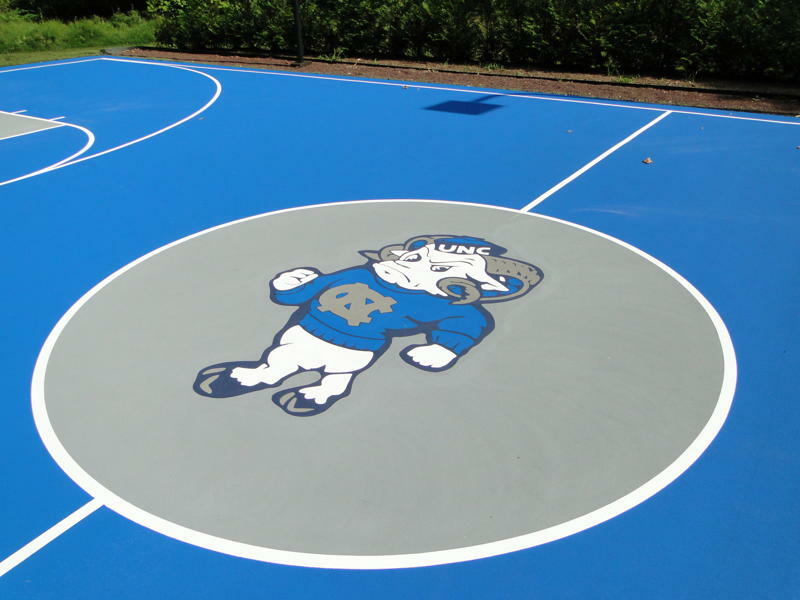 This entry was posted in Multisport and tagged Acrylic Surface, Acrylotex, Basketball, Basketball Court, Basketball Court Dimensions, Basketball Surface, Non Skid, Non Skid Surface, Surface.